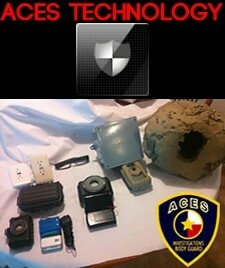 ACES Private Investigations Austin surveillance team utilizes the newest technology for our surveillance cases. Our investigators use hidden cameras, body worn cameras, nanny cams, dash cams, audio recorders, gps trackers, and a variety of other surveillance gear to assist with your case. We offer data recovery and monitoring on devices for investigation purposes only. Contact one of our investigators today to talk about how we can deploy software to capture the truth you are seeking. Time for a security Audit?